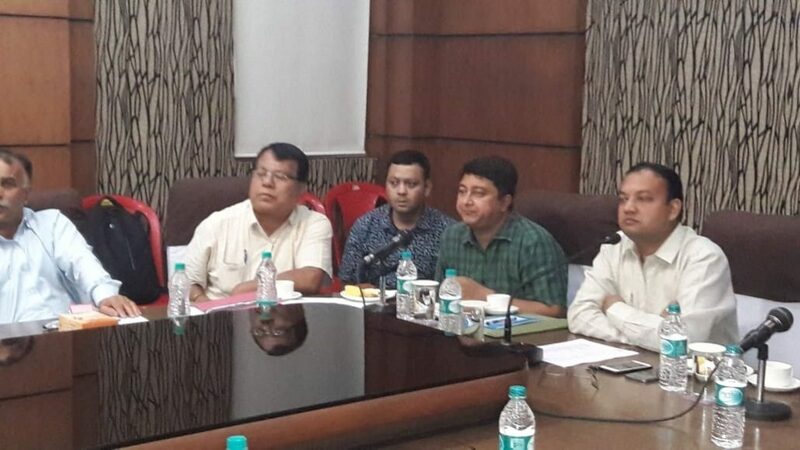 A meeting under the chairmanship of Deputy Commissioner, Kamrup (Metro), Virendra Mittal was held at the circuit house in Guwahati on Thursday with all the owners of private nursing homes of the city. In the meeting, Deputy Commissioner Mittal directed the private nursing homes to strictly adhere to The Clinical Establishments (Registration and Regulation) Act, 2010. He also warned of stringent action against those institutes failing to do the same. Saying that the private nursing homes contribute substantially to maternal mortality and child mortality rates of the district rate, the Deputy Commissioner stated that proper record should be maintained by the nursing homes which should be submitted to the District Health Society (DHS) regularly in the prescribed format. The Deputy Commissioner also said that as Ayushman Bharat and Atal Amrit Abhiyan programmes are being implemented throughout the State, the BPL beneficiaries coming for treatment to the respective private hospitals must be taken care of without any discrimination. He also highlighted the need for timely exchange of information between private and government doctors. ADC (Health) P P Kathkotia, Joint Director Health Services, Kamrup Metro Dr Ganesh Saikia, owners of city nursing homes were present in the meeting which was attended by more than 60 various stakeholders.